Sara Richard's Blog: New Collab with Siryn! New collab with Makeupbysiryn.com! 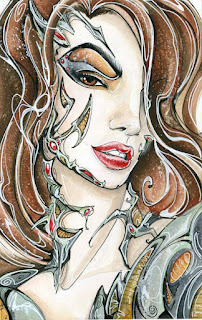 Witchblade! Check it out here to see her makeup designs that inspired the look Sara's wearing!